!! NEW !! 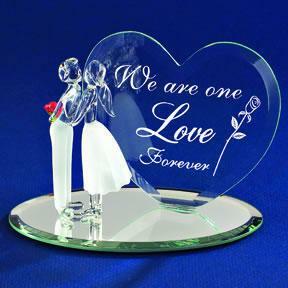 Couple "We Are One Love"
Solid Glass Couple gazing at each other holding a red rose mounted in front of a Heart Shaped Plaque that reads "We Are One Love Forever". Mounted to a beveled mirror.